← Queen – You Take My Breath Away. 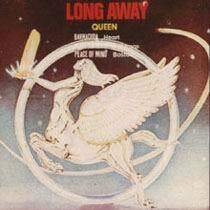 Publicat pe 29 iunie 2015	de Cristi M.
In October 2011, it was announced that Queen will be recording a new album featuring lost demos of Mercury on vocals.May confirmed that he and Taylor are working their way through the band’s old material to compile a selection of unreleased songs for the forthcoming album. May also revealed that a series of duets that Mercury recorded with Michael Jackson was to be released in 2012. In 2014, May announced the title of the album to be Queen Forever, to be released later in the year.